The influencer space has become fiercely competitive. Who wouldn’t want to be sent beautiful gifts, attend lavish parties or be sent on an extravagant holiday? It’s not hard to see why this career prospect has become so popular. An influencer is a person who is well-connected and who is regarded as influential and in-the-know; someone who is looked to for advice, direction, knowledge and opinions. They have a strong voice and they want people to hear it. Not only are there some lovely perks, but for the seriously savvy digital gurus, this has become a full-time gig. There are many making a living out of this lifestyle. We look at top 10 influencers in the lifestyle space who are killing it. Note: try not to be too envious of their cocktail sipping, beach walking and front-row lifestyle. Your girlfriend wants to be them and your boyfriend wants to date them. Between these two beach beauties personal accounts and business account, they hold a total Instagram following of 3.3 million followers. A Bikini A Day was created when Tash and Devin decided to team up and travel, to beach destinations such as California, Mexico, Hawaii and Australia. When they decided to upload daily photos of themselves in different bikinis, there began a collaborative path that has resulted in A Bikini A Day. 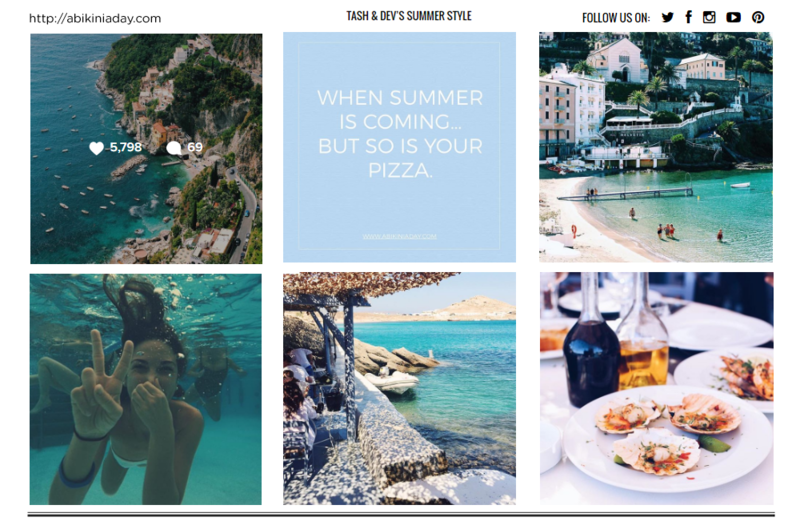 The page soon attracted a large following of fans, was featured in publications around the world like Cosmopolitan and Harpers Bazaar, and they collaborated with well-known brands such as Tory Burch, Billabong, and Vix Swimwear. These girls continue to collaborate with a plethora of beach inspired brands from clothing and spa products to beverages and health foods, further generating exposure for them. They also portray a very sought after lifestyle – who wouldn’t want to chase the sun around the world? An ex-media mogul who knows what she’s doing. 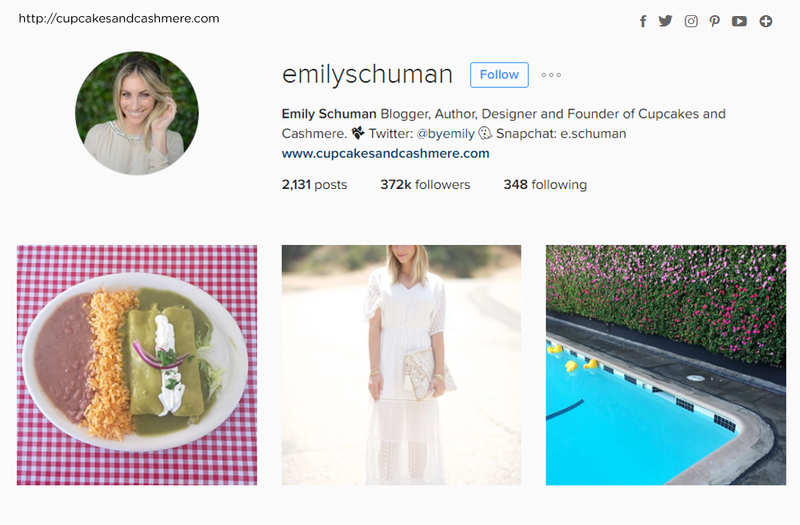 LA based Emily Shuman began her blog, Cupcakes and Cashmere in 2008. A blog that celebrates “the little pleasures” in life – Cupcakes and Cashmere covers all things fashion, beauty, food and interior design, with Emily’s own flair. Plush pink dresses, decadent desserts and adorable family shots – her blog touches the hearts of those who love all things ‘pretty’. With her blog beginning back in 2008, Emily has been around the block a few times. Her biggest success thus far has been the publishing of her book Cupcakes and Cashmere: A Guide for Defining Your Style, Reinventing Your Space, and Entertaining with Ease, with the book becoming a best-seller. Emily creates helpful blog posts that readers can gain worth from e.g 12 of the best Summer reads. Her content is perfectly pretty, emulating her bright LA lifestyle. To be quite transparent, young Dauzat is famous for being famous. An American internet personality who rose to fame from YouTube, with his most famous video “Cute Things That Girls Do”. 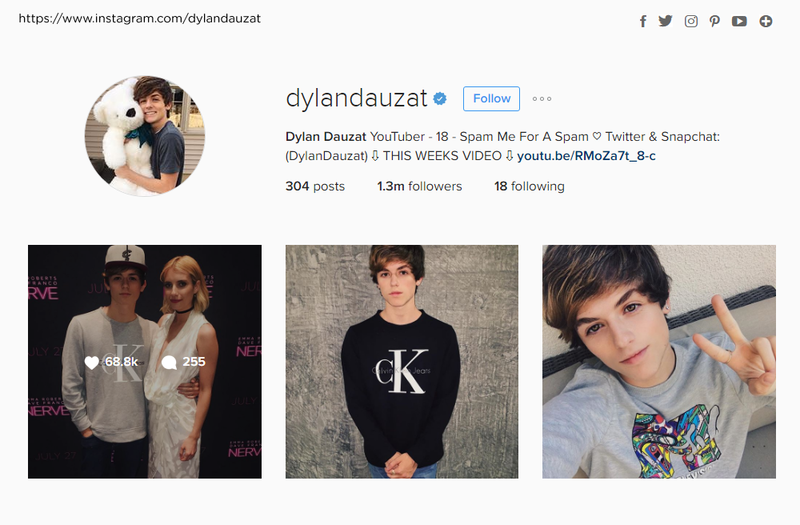 Now with 625K Youtube subscribers and 1.3 million Instagram followers, Dylan continues to talk “teenage stuff” to adolescents all over the world. His video content is honest and humorous, with titles such as “Boys Thoughts on Girls”, “My First Time Experiences” and “I’m single”. An true example of a Gen Y guy who tells the world about every movement and moment of this life. Dylan’s fans love him and are super loyal, as he talks quite frankly about teenage relationships, with some surprisingly insightful great tips e.g. “You need to be who you are.” And it doesn’t hurt that he also rubs shoulders with cool LA kids, such as actress Emma Roberts. 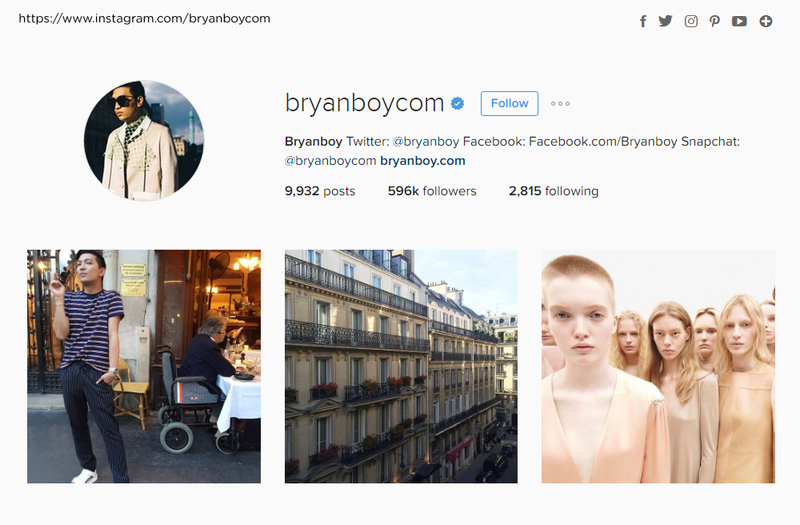 What a lush life Bryanboy has. Where he comes from, you won’t believe it. Bryan Grey Yambao, also known as Bryanboy, is a Filipino fashion blogger, socialite and businessman. A former web developer, he started blogging at age 24 from his parents’ Manila home. His blog is funny and he is brutally honest, or would be say witty and bitchy? He also enjoys strong TV alignments internationally, such as being featured on the panel on America’s Next Top Model. Does your heart melt from seeing a photo of a puppy lying next to a baby? Well Jessica Shyba has made a name for herself by capturing these moments. 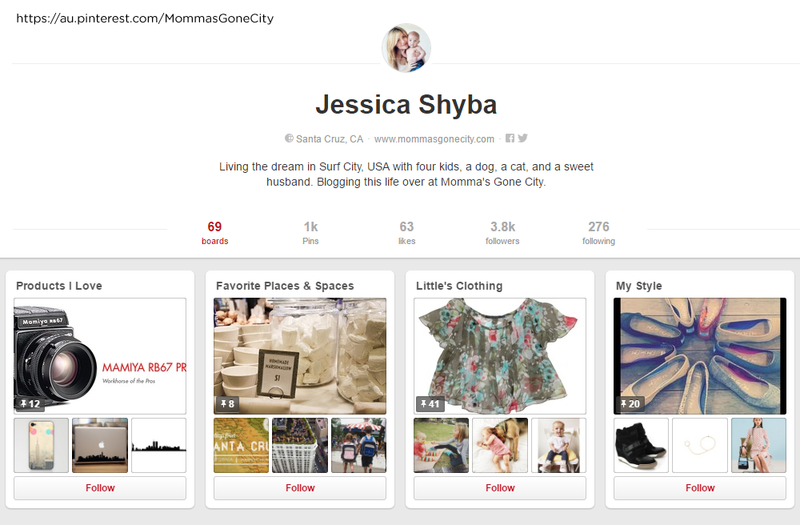 Author of Momma’s Gone City and popular internet sensation Theo & Beau, Jessica has been blogging since 2009. The original intent was to simply stay in touch with friends as the family embarked in a cross-country move from California to New York City, a move prompted by her husband attending dental school at NYU. How she rose to influencer stardom was by documenting the budding friendship between her baby Beau & puppy Theo, which catapulted Jessica’s blog & Instagram. Along with that fame, came opportunities for sponsorships on Momma’s Gone City and a book deal which allowed Jessica to showcase her writing & photography. Jessica continues to capture beautiful moments and shares them with the world. The Queen B of the lifestyle blogger-sphere. There’s no wonder Sincerely, Jules has a loyal 3.7 million followers. Julie Sariñana founded Sincerely, Jules in February 2009 as a creative outlet to express her thoughts, inspirations, and personal style. Jules beautifully curates her daily style, travel adventures, and life to inspire and motivate her readers. She always lives by the motto ‘Dream, Believe, Achieve’ and encourages her readers to do so too. Julie is a pioneer when it comes to the blogger realm, as she became one of the first bloggers to appear on the cover of high end American magazines, such as Lucky, Teen Vogue and Glamour, making contribution to these female publications. 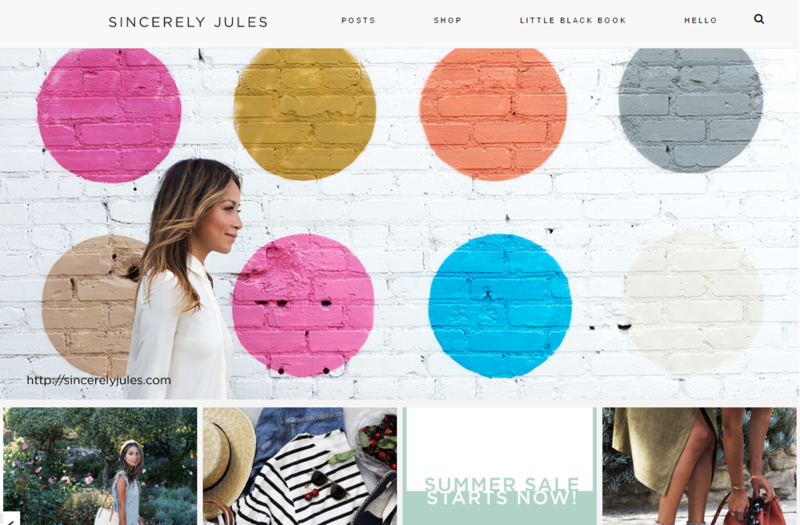 Julie’s southern California flair is expressed throughout all her content. She is true to her sense of style and the life she lives, creating a truly authentic experience for her audience. A creamy tortellini or homemade pizza, either way it’s molto bene! 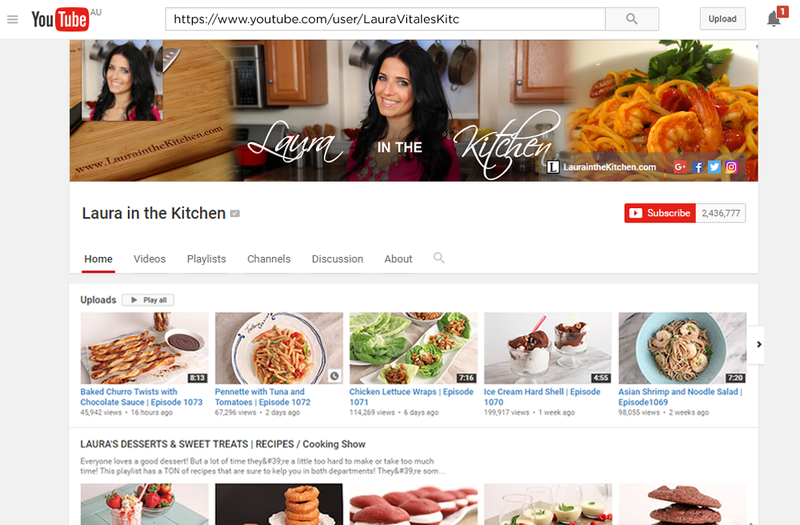 Laura in the Kitchen is an interactive cooking show hosted by Laura Vitale. The show focuses on Italian cuisine, but viewers are welcome to also make requests, which see’s Laura expanding her cuisine horizons. Laura Vitale was born and raised in Italy until she was twelve years of age when she moved to the United States. She started her cooking journey working with her father in their restaurants. Together with her husband, she launched her Internet cooking show, Laura in the Kitchen, where her enthusiasm, charm, and irresistible recipes have won her millions of fans. Laura’s beautiful bubbly nature and her authentic recipes are gained her an epic 2.6 million Youtube subscribers. She’s also on an American pay TV station, the Cooking Channel and has published a book titled Laura in The Kitchen: Favourite Italian-American Recipes Made Easy. Interior design meets fashion in this sophisticated style blog by Aimee Song. 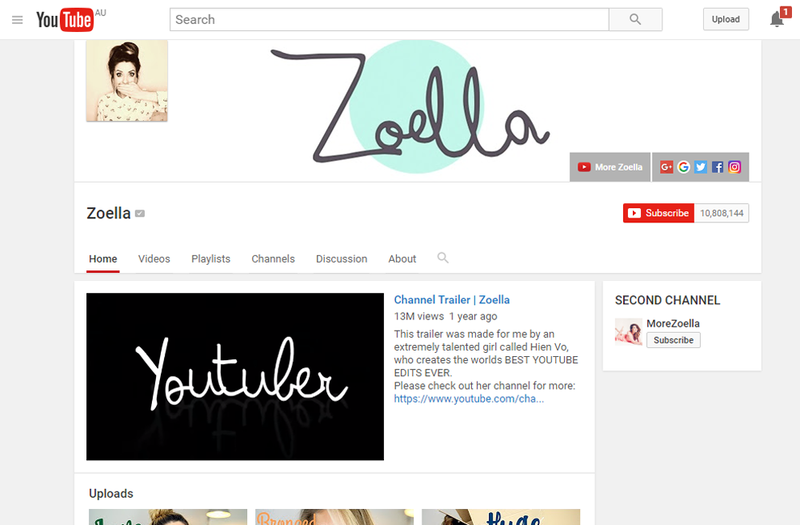 Aimee’s takes to her website and Youtube to deliver tips, DIY projects and reviews from interior and fashion events. 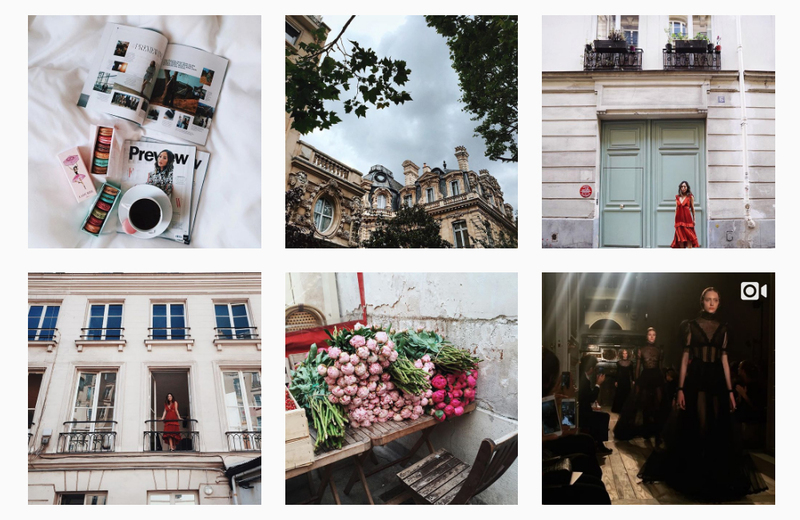 Aimee is always on the go and her Instagram tells of her amazing travel stories and purchases along the way. She’s made some of the furniture in her LA pad from scratch. She’s also crafty when it comes to organizing her extensive wardrobe. These clever skills and creativity have given this internet It Girl a real unique touch to her blog. Rising to 3.6 million Instagram followers, Aimee has enjoyed collaborations with amazing brands such as Laura Mercier, Teen Vogue and additionally made Forbes list of 30 Under 30 in the Art and Style Space. 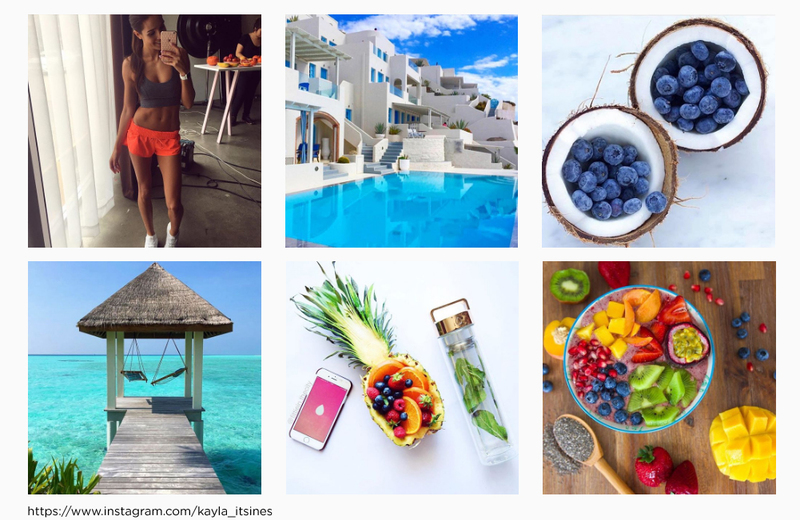 Move over Atkins and take the backseat Lemon Detox – fitness influencers are delivering their own diet plans and fitness schedules to the world, and at the forefront is Kayla Itsines. The fitness mogul uploads client transformations, healthy eating ideas, and training tips and inspires thousands of women to move towards a healthier lifestyle. This led her to developing a fitness program, which aspiring fit chicks all over the world have come to complete. The combination of a solid program, focusing the business around fitness and not about “Kayla” and, of course, having a good social media game plan has catapulted Kayla into online stardom. Having worked on perfecting her routines and testing them out on her clients since she was 18 (she’s now 23), Itsines’s credibility as a trainer who delivers incredible results can be seen in the “hundreds and thousands of transformations” she said her customers have achieved.